Merry Christmas! 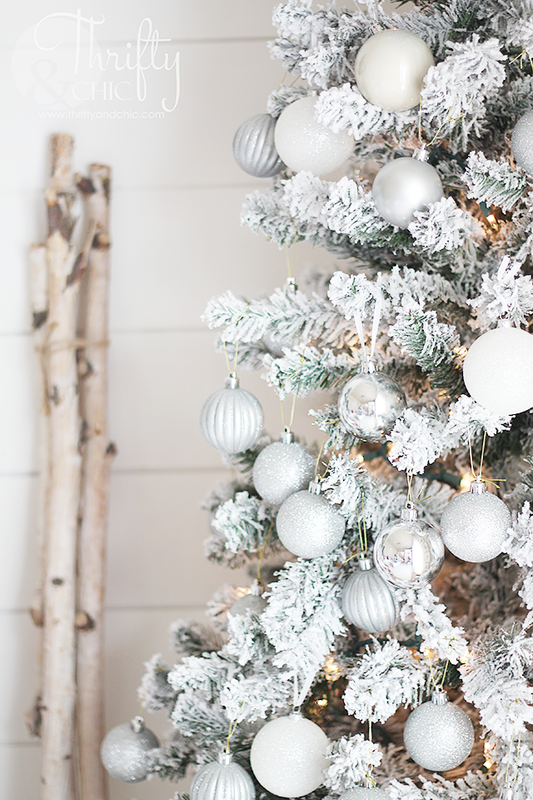 Does it not feel like you just took down your Christmas decor like 2 months ago? I seriously remember last year's Christmas like it was yesterday. It is just crazy how time flies! I remember when I was young, the days and years lasted forever! I swear time has sped up ;) Well, it's almost December so that means it's that time again for my home tour! 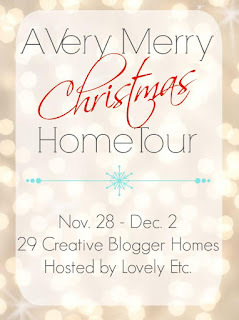 I joined up with some wonderful ladies and Carrie from Lovely, Etc to bring you today's tour! This is my first of three! Three! So, be sure to come back later this week for another tour. 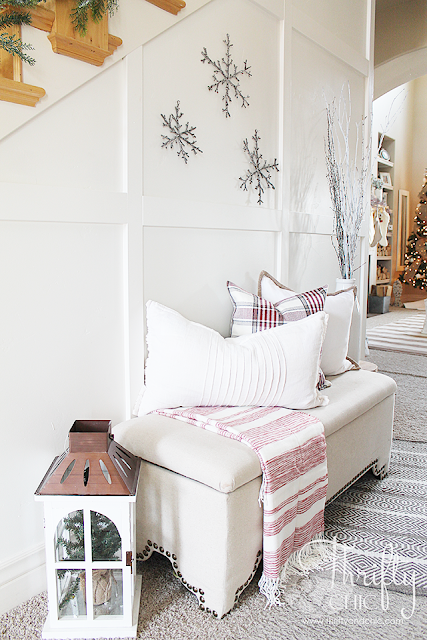 Today I'll be sharing my front room and entry way with you all. 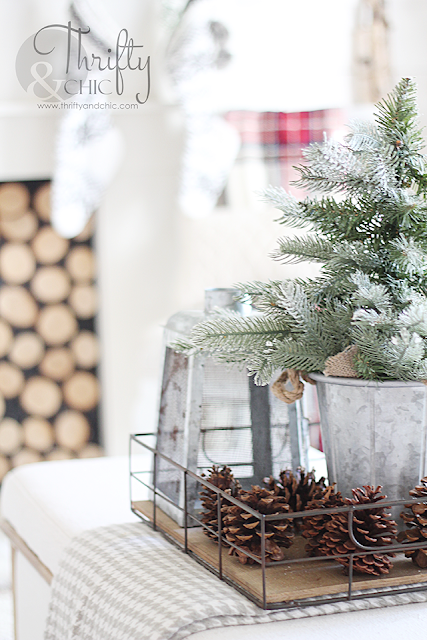 I probably say this every year, but I love decorating for Christmas so much! This room has been done for like a month now :) My husband tells me I can't put up any Christmas until Thanksgiving...well, over the years, I keep getting more and more up before then :) One of these years, it will all be up! 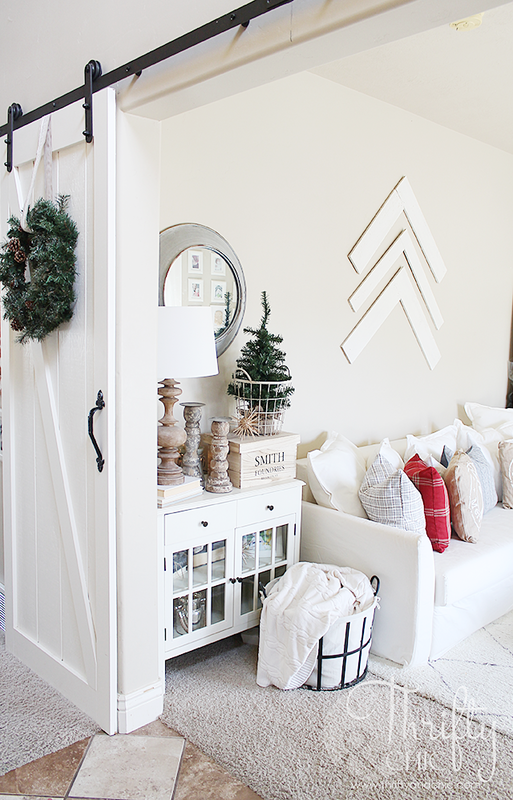 Through these barn doors is my front room which also serves as a guest room and a toy room! This couch is also a bed that I got from Ikea earlier this year. 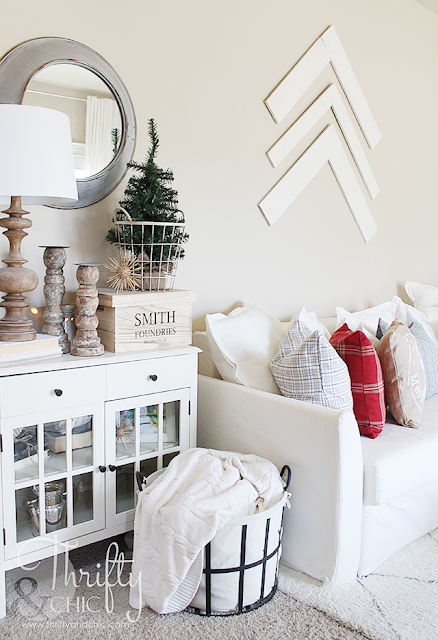 It was the only way I could get my much wanted white slipcover sofa :) I needed a bed and a couch, so voila! 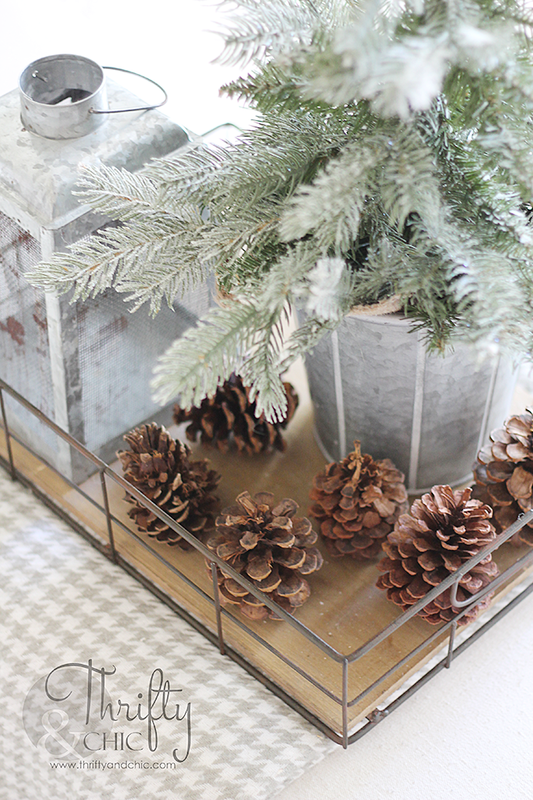 I went a little minimal on the side table this year, just added a Christmas tree into my basket. As for the other side of the room...I have my little Christmas tree. This is the one that my kids decorate each year. I don't move any of the balls. It's all theirs! Luckily, it's extremely flocked so you can't tell where the missed spots are :) You can only imagine how good a 1 year old and a 3 years old can do. Actually, I take that back, I think they did awesome! 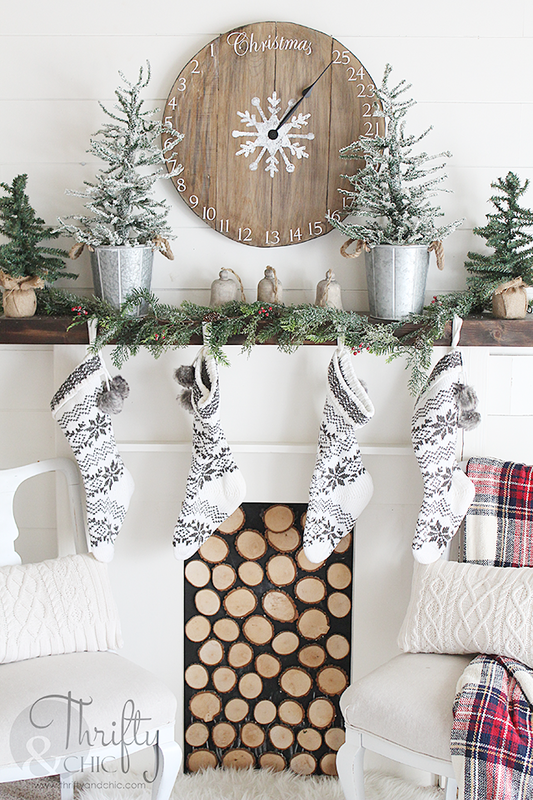 This faux fireplace is another one of my favorite projects, especially during Christmas! 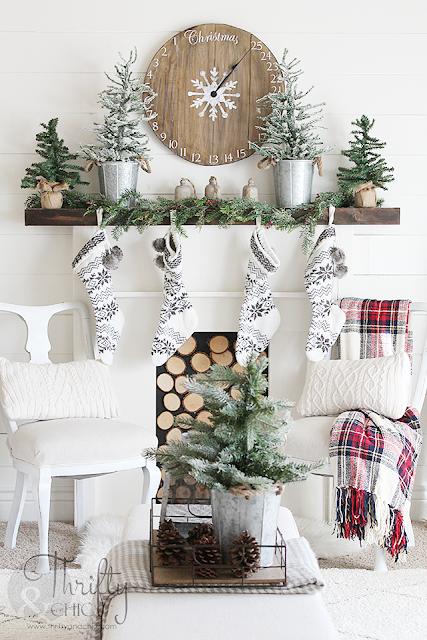 For the mantel, I like to think I kept it simple since it was so easy to put together. 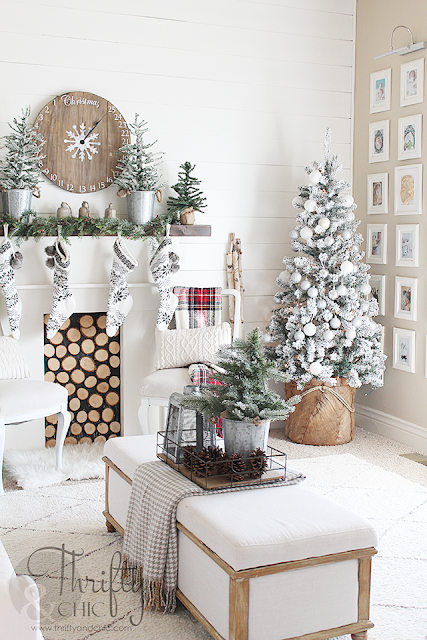 Just some trees, wood bells, garland and stockings! I usually don't do color, at all, but I've slowly started adding more and more into my house, especially during the holidays. 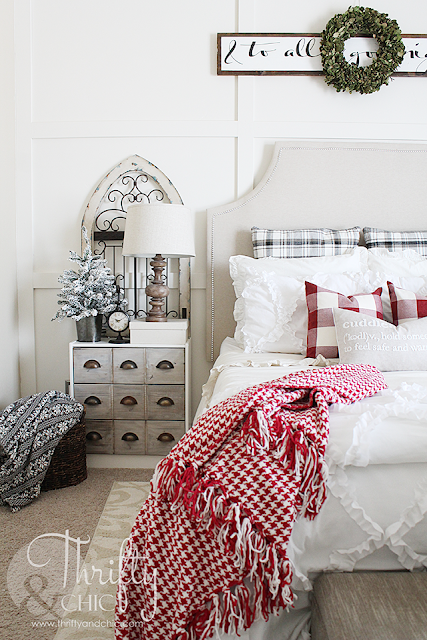 And this blanket adds the perfect punch of color and warmth to the space! For the tray, I just went simple with a potted tree and some pine cones. 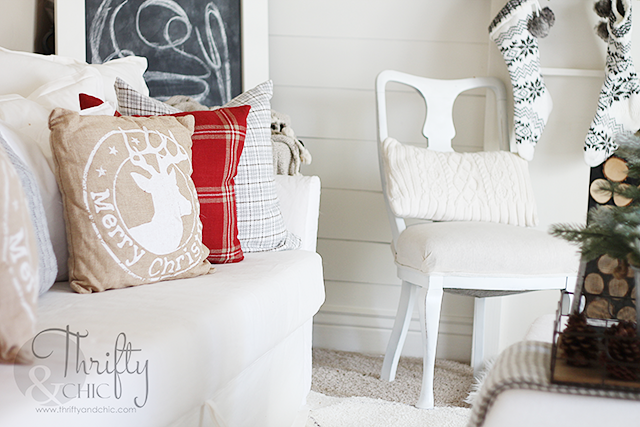 The pillows ended up being a mix of Fall and Christmas for me. I really loved the greys I used in my Fall home tour, so I kept with it and added the red and burlap. 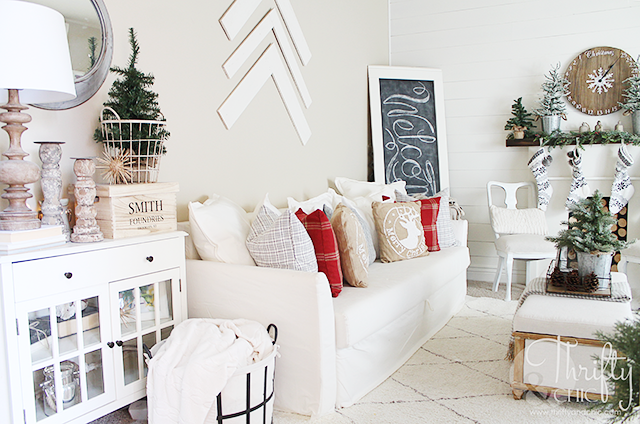 I just love how warm and cozy this room feels with all the Christmas decor in it! Now, let's go on to the entryway. I think I'll still be tweaking this space for the weeks to come, but here's how it stands now. 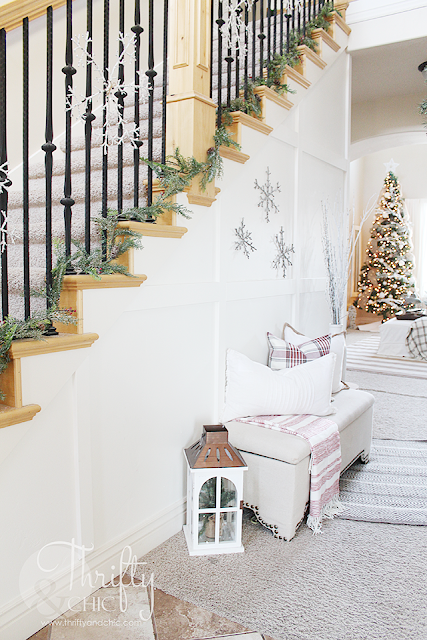 I'm a big fan of having the garland on the bottom of the stairs. It's just a fun new take on the whole concept. You can barely see them, but I also have white snowflakes hanging on the stair rail. 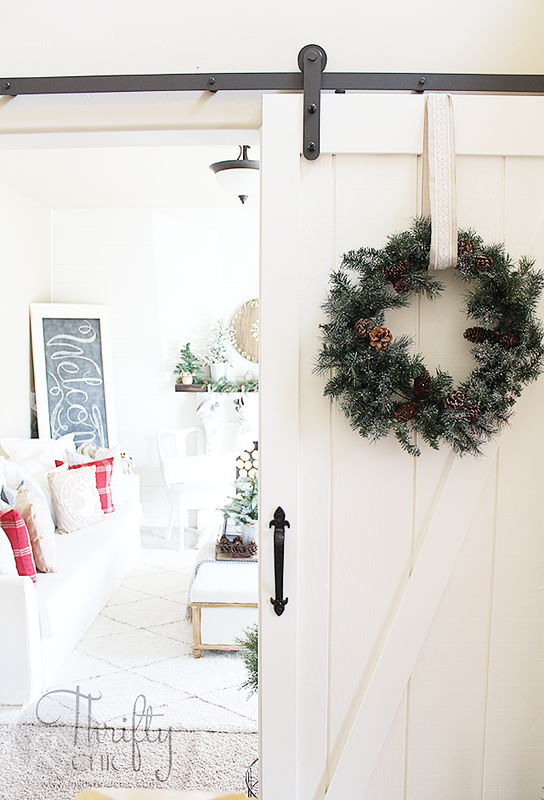 I did have a wreath hanging here, but felt like there were just too many wreaths in this little hall with the two on the barn doors, so I swapped it out for some small snowflakes instead. 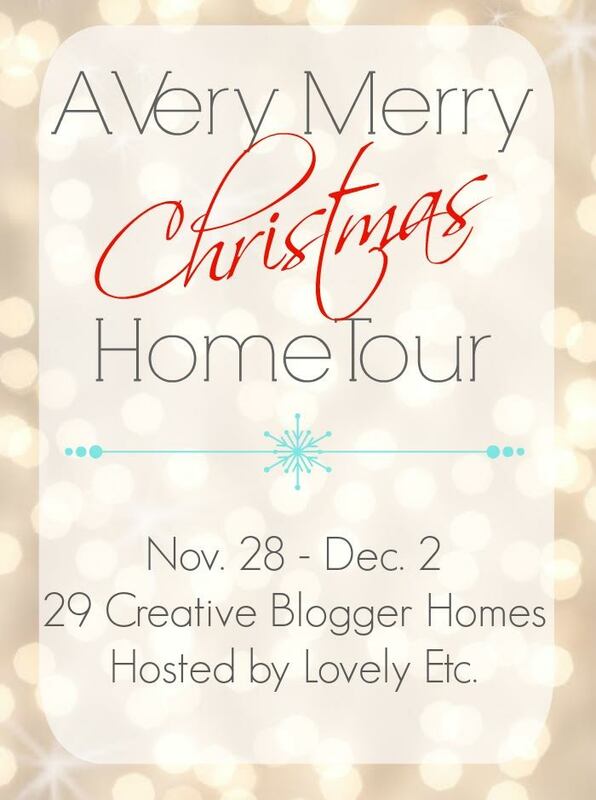 Click on the pictures below to check out my other Christmas tours! Thanks for sharing the giveaway! 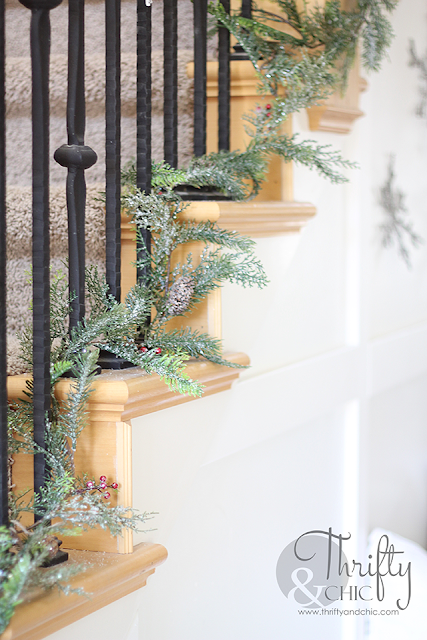 Your home is lovely--especially the wreaths on the barn doors and the garland at the base of the stair railings! Everything looks so light, bright and beautiful! 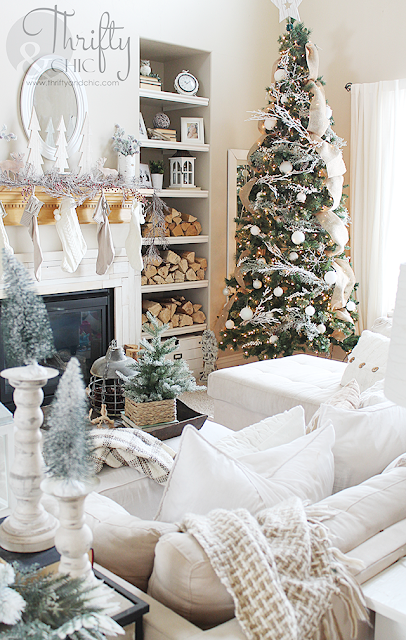 I love your living room, so pretty and the tree is perfect. I think the children did a great job. 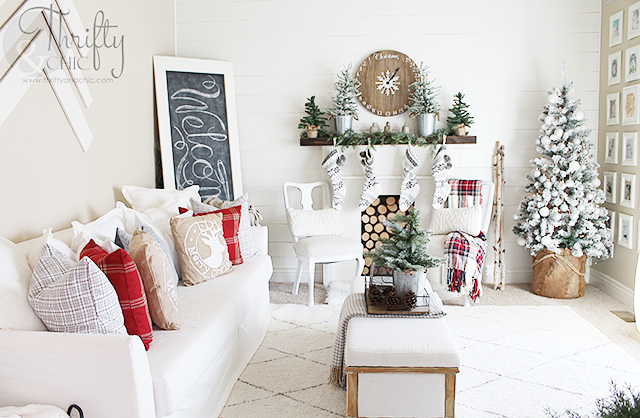 Beautiful holiday room ... so cozy and inviting ... love your tree (and the crisp red and white)! Oh my goodness, this is so gorgeous! 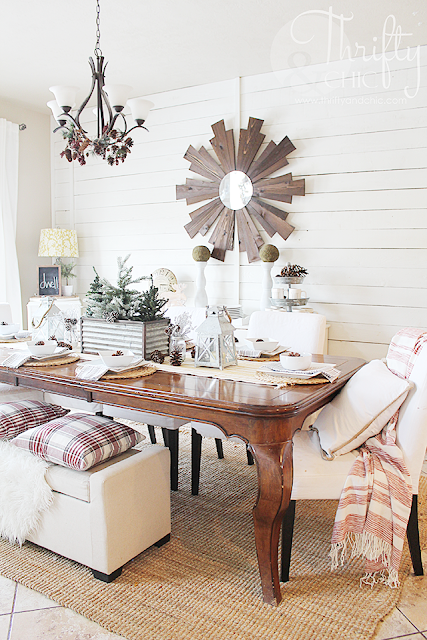 what a beautiful home and such perfect neutral farmhouse touches. Your home is stunning! I love all the Christmas you added to it! So warm and welcoming! Thank you for inviting us in! Have a very Merry Christmas! Everything is stunning!! Where did you snag the garland from? 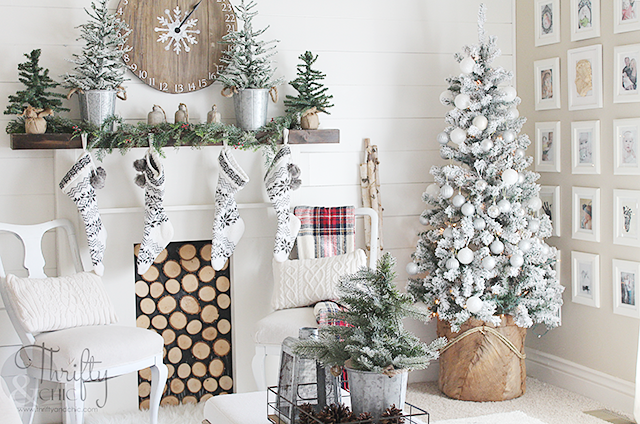 I've been looking for a simple garland and can't seem to find one I really like, but I love this one! I'm super impressed by your children's ornament decorating! Your room is gorgeous. I love it all - so light and bright. I love this room! The flocked tree in the basket is stunning! It's all so warm and inviting. ooooh I want to come right over and stay a while! And that advent calendar - great touch! Give me all that white! 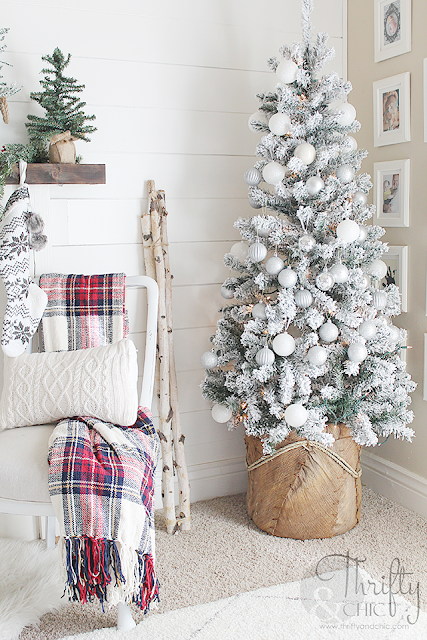 Love LOVE love your tree and that tree basket! There are just so many things in here I love! 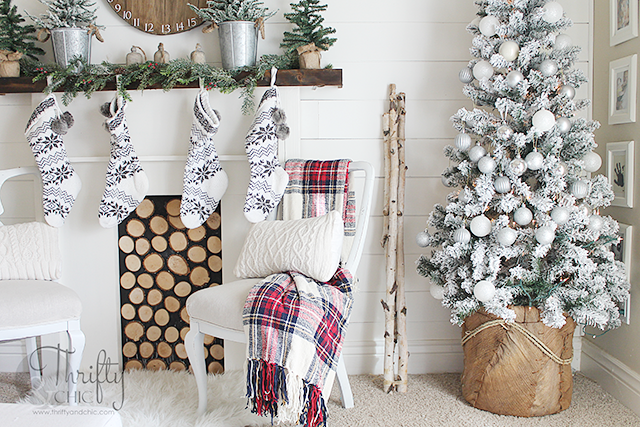 The flocked tree in that basket, the stockings, the little trees on the mantel. And that advent calendar - so fun! So lovely! 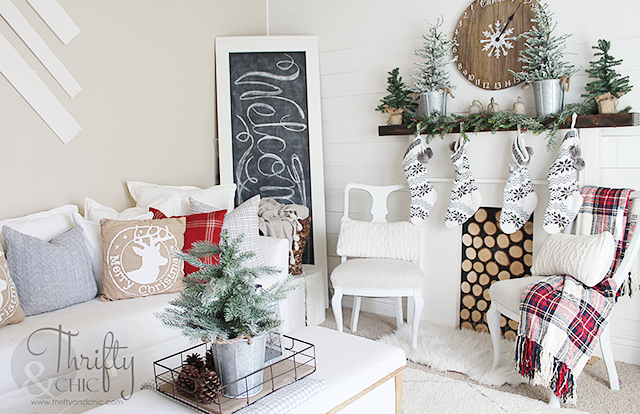 That advent "clock" is just fabulous--such a great idea! Amazing creativity and execution Alicia! Sliding door with wreath looks nice and especially i loved your stair decor idea, It's look extraordinarily.